“There’s a way to do it better — find it” (Thomas Edison). This quote rings true for the millions of families who have packed up and moved to the United States (US) since the late 1900s. And this was the same for Arjun (name changed for privacy) in 2001, when he left home in New Delhi, India and moved to Amsterdam, Netherlands for a new job with his wife and two young kids. However it was not until 2017 when Arjun ended up in the Bay Area with his family. Before Arjun moved, he worked for KLM, the airline company, in India. Here, he met his wife, got married, and settled in New Delhi where he had children. Arjun first left the safe confines of his home country to continue working with KLM in the Netherlands. This is where he brought up his two kids, now both in college, with his wife. The quality of life and cleanliness that Arjun and his family experienced in Europe allowed for new opportunities where one would not have to focus so much on making sure they had the basic necessities they needed to survive. After working there for 14 years, he finally made his way over to Vancouver, Canada, also for a new job opportunity. In Canada, his daughter and son completed high school and his son moved to California to attend college. The education system in Canada, specifically Vancouver, gave his children more educational opportunities than they had found in both the Netherlands and what they would have found in India. After living there for almost 2 years, he, at last, made the move to the US where he has happily lived since 2017. In Arjun’s case, the process of entering the US was not difficult: but the process of staying was. Once Arjun entered the US, his most pressing task was to become legal. This is where challenges arose and he says his experience in the US was more difficult than the process in the Netherlands and in Canada. According to him, in the US, the process of becoming a citizen and remaining in the US legally is made much harder than it needs to be. He has experienced this same process in two other countries, and reflects that in Canada and the Netherlands, the process is much more structured. Arjun constantly has to re-apply and renew all his official documents; his drivers license, social security numbers, and much more. In order to correctly fill out forms and apply for documents, he needed to hire a lawyer to talk and help him through the very confusing and time consuming process. In his own words, the process was “nowhere near as easy as it was in Europe and in Canada”. Only after this long and grueling process can Arjun truly enjoy the benefits of moving the US. Nevertheless, the advantages of moving to the states outweigh the disadvantages. When living in India, there was a basic quality of life that was simply not met, or that only few enjoyed. Fundamental necessities were not readily available such as clean water and electricity. When moving to the US, he was met by a plethora of possibilities that he did not have back in India. These possibilities are what made the trip worth it. His quality of life improved dramatically, and he was given the chance to provide a stable life for his wife and two children, who moved to the States almost a year after he did. Obviously, moving to the United States has been both tough and beneficial for Arjun and his family. The process of staying legal has become increasingly difficult due to the stricter immigration laws, but the quality of life received here makes up for the taxing job. 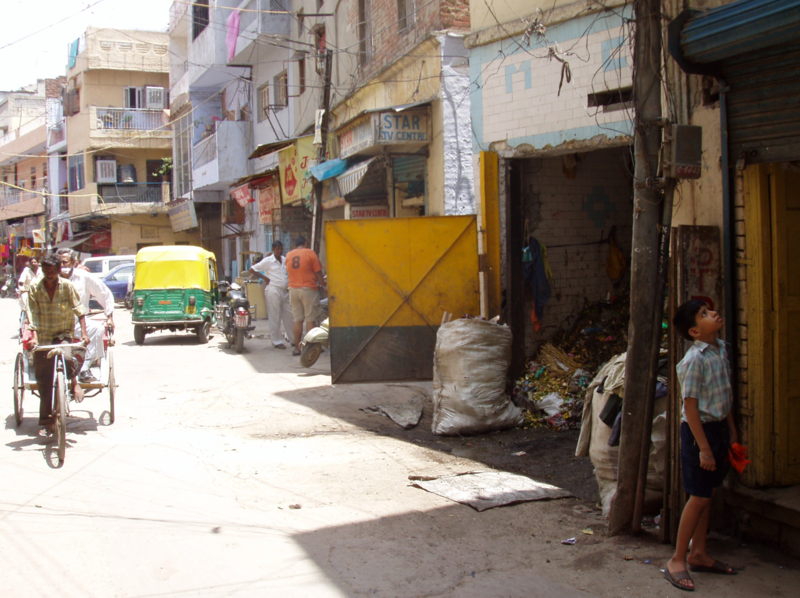 He is able to support his family and earn a stable living while receiving the basic things he needs to live, which he did not receive in his hometown of New Delhi, India. There will always be a part of India that Arjun will miss. The culture and heritage specific to India cannot be found anywhere else, and Arjun wishes that his children were brought up with these traditions. However, he knows the legacy he has left here for his children will carry on through the next generations. With what he thinks of as the perfect mix between American and Indian culture, he knows that his children will be able to bring up their own in the same way that he has. This was written by Arjun’s niece.